DV 101 — Hospitality House for Women, Inc. In the United States, 20 people per minute are abused by an intimate partner. Domestic violence (DV) is fueled by a desire for control, revealing itself as a pattern of coercive, controlling behavior. It can happen to anyone, at any time, in any type of intimate relationship. PHYSICAL ABUSE · Hitting, kicking, punching, slapping etc. 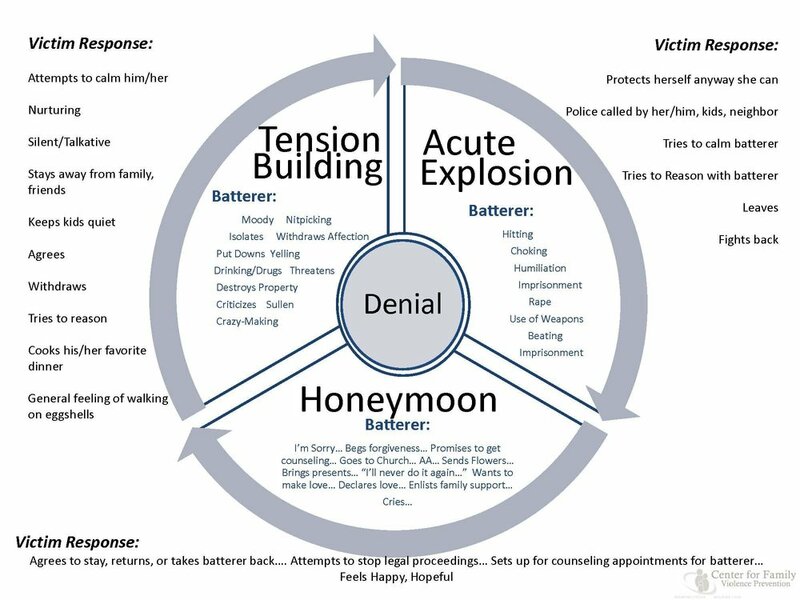 The cycle of tension to violence to reparation and hope may repeat itself an average of 7 to 12 times before a victim will finally break free of its clutches.